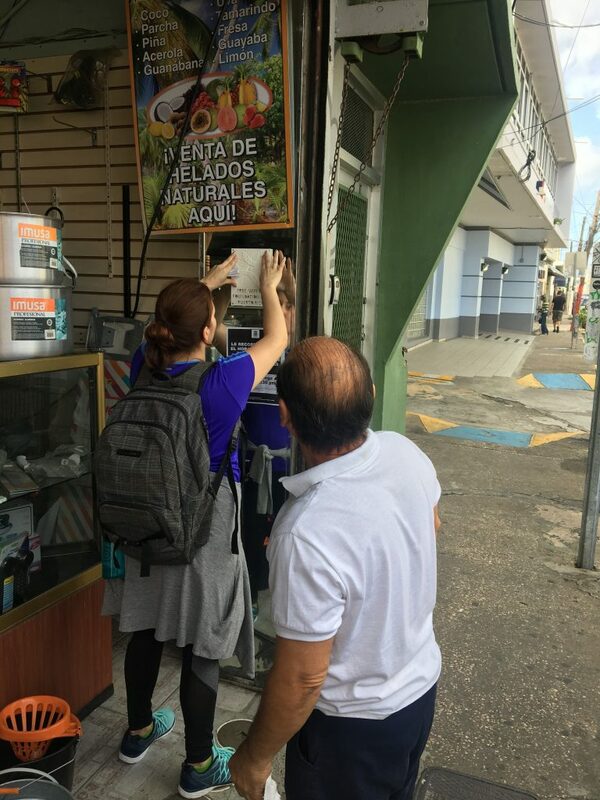 As you may have seen in previous posts, communication after Hurricane Maria was a severe challenge. Finding ways to connect with loved ones and resources during this time was one of the highest priorities, yet hardest to come by. 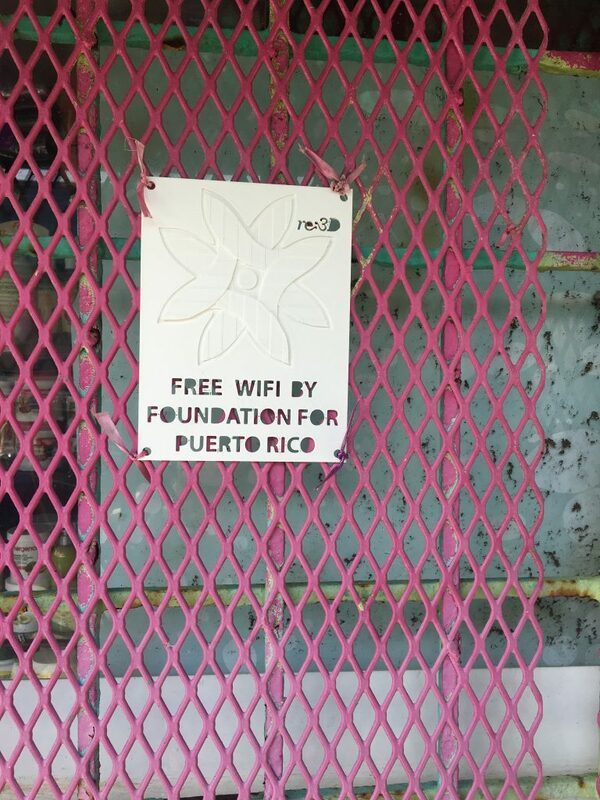 However, despite the hurricane eliminating 70% of cell towers and decimating the electrical grid, the few with lights on and WiFi up wanted to share the love and show people the way to access these resources. 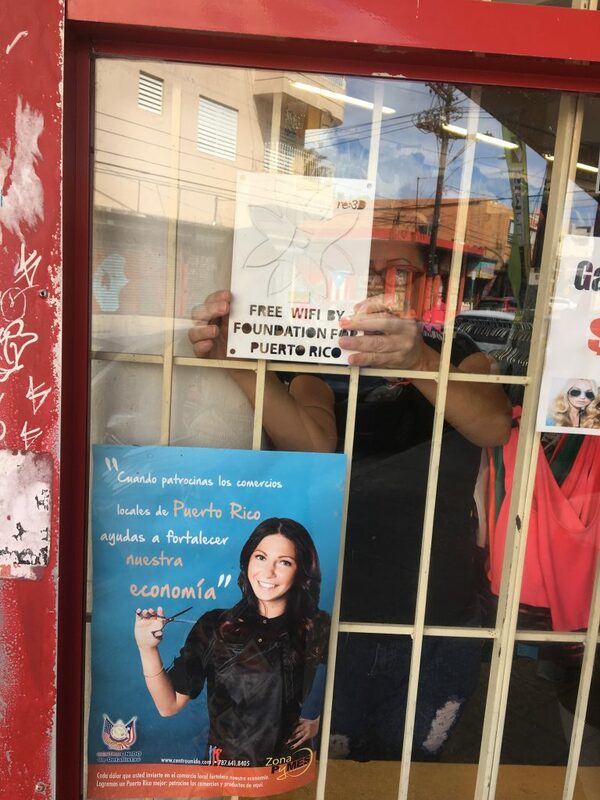 Foundation for Puerto Rico (FPR) – a public charity founded in 2011 that promotes opportunities for social and economic development in Puerto Rico mostly focused on promoting the visitor economy and transforming Puerto Rico as a destination for the world – was one such local organization providing solutions for this connectivity issue immediately and looking to innovative recovery solutions in Hurricane Maria’s aftermath. And providing free WiFi in critical areas was an essential first project for FPR. 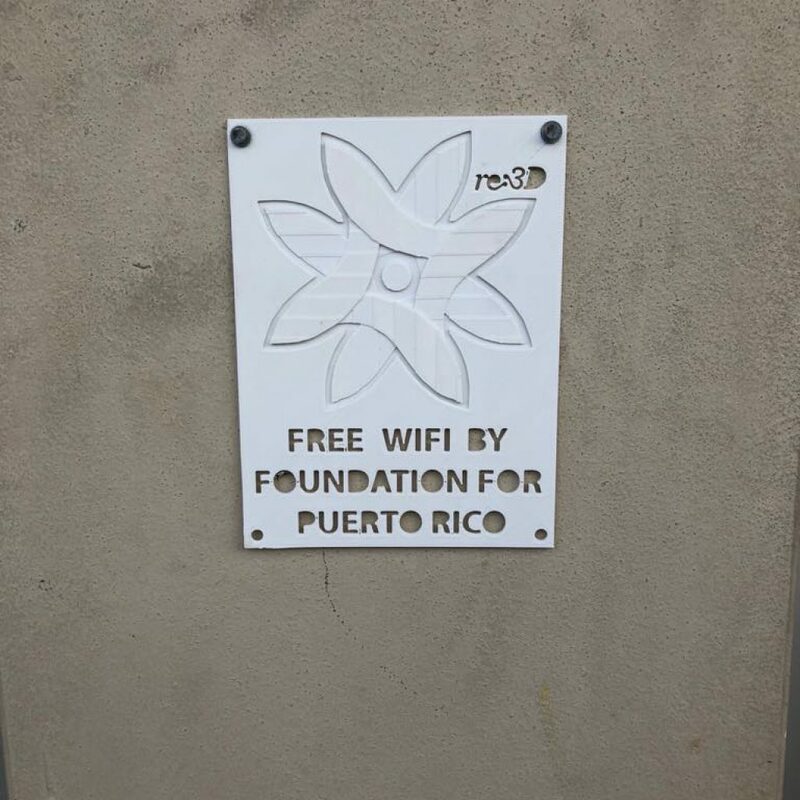 “Foundation For Puerto Rico was providing free WiFi all throughout selected locations where Small and Medium sized businesses were struggling to thrive,” shared Gustavo. 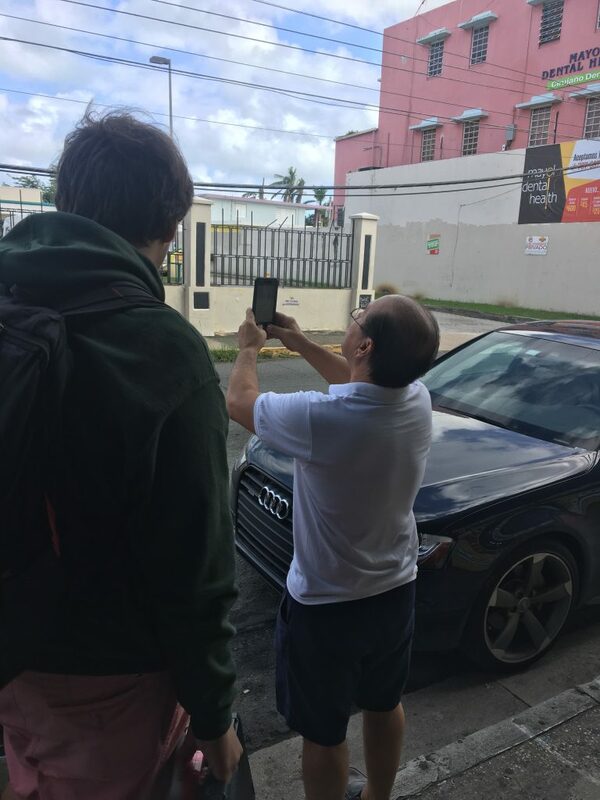 Getting WiFi for the first time after Maria! 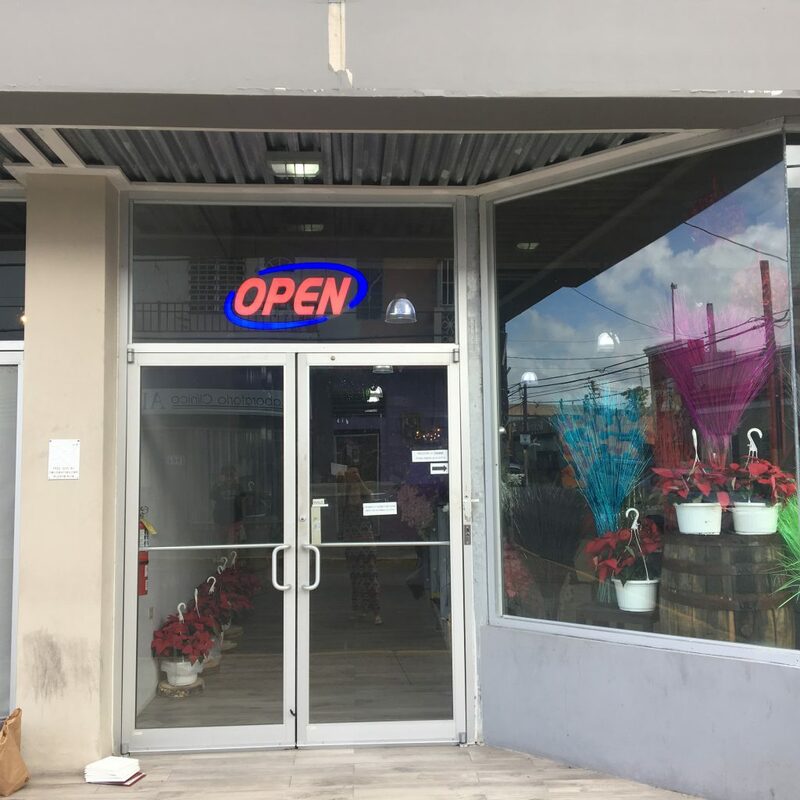 But beyond providing this WiFi access after Hurricane Maria, they wanted to make it literally visible to people physically roaming for Wifi and cell service via signage in store windows. “Very few businesses and tourists knew that the network was available. 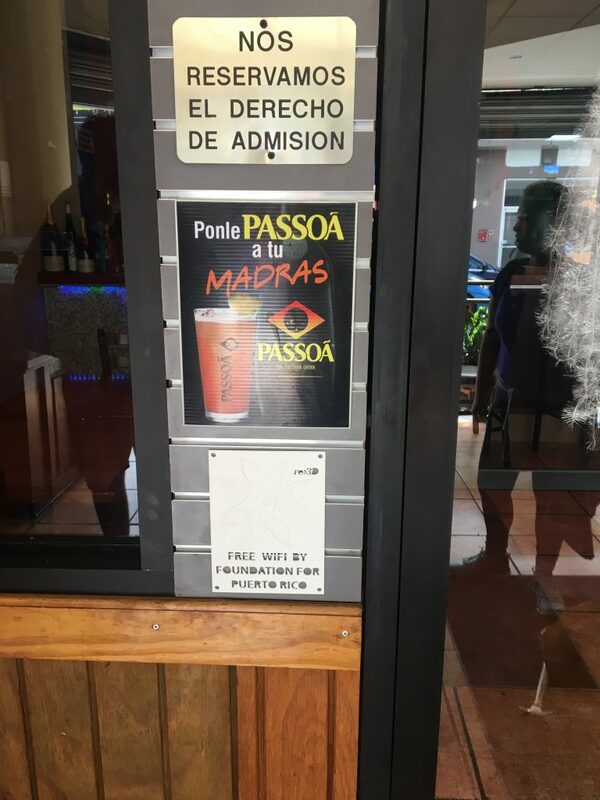 When we went to different businesses in Calle Loiza, most of them had no clue. 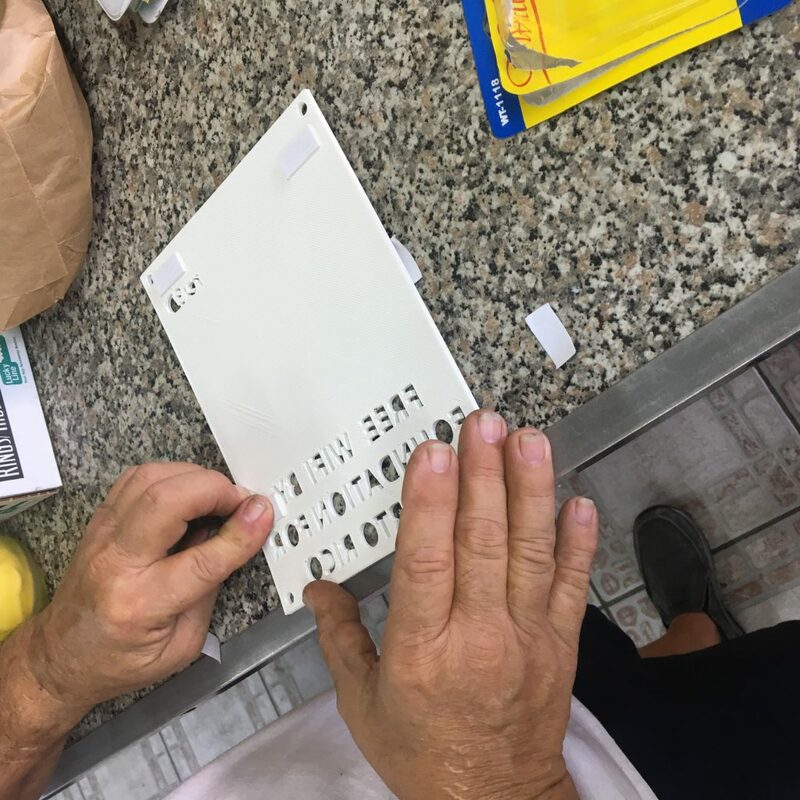 As we started going door by door, they were not only amazed, but their clients who saw us putting them up there started to ask questions and connect to the network,” recounted Gustavo. Watch the 3D printed signs getting set up! 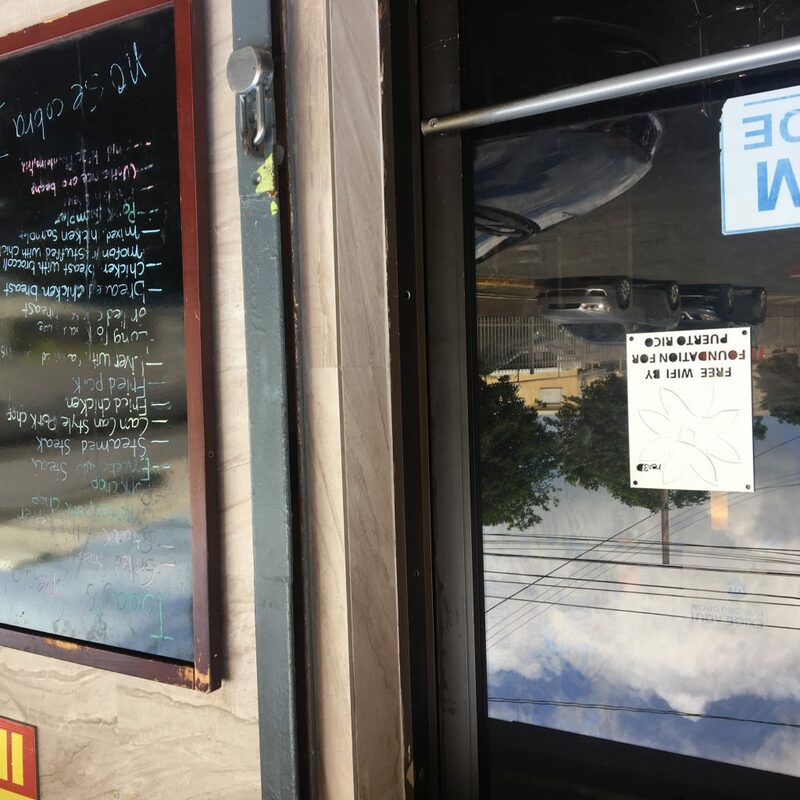 But they needed more than a piece of paper and a pen, but also a sign that could weather harsh post-hurricane conditions and withstand any additional unexpected rain and winds. 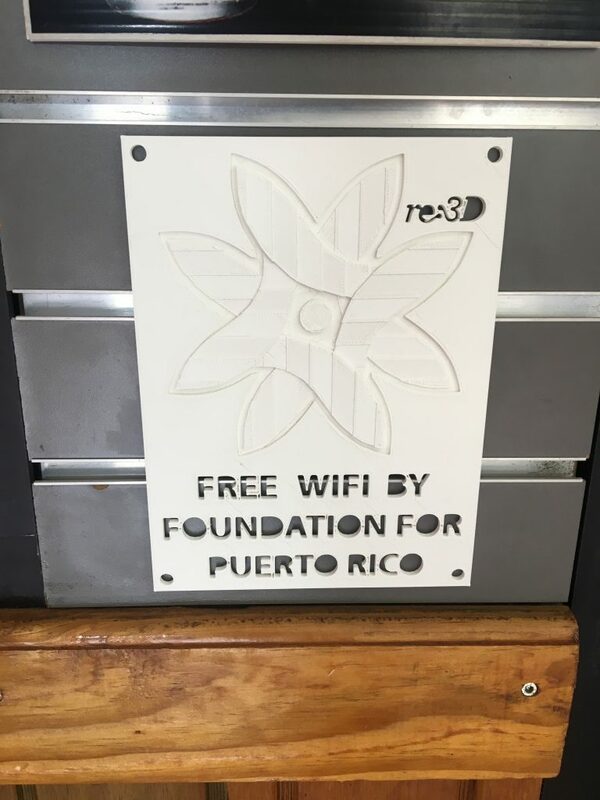 Foundation for Puerto Rico found 3D printing the optimal solution and partnering with re:3D in Puerto Rico, created the solution to this problem. 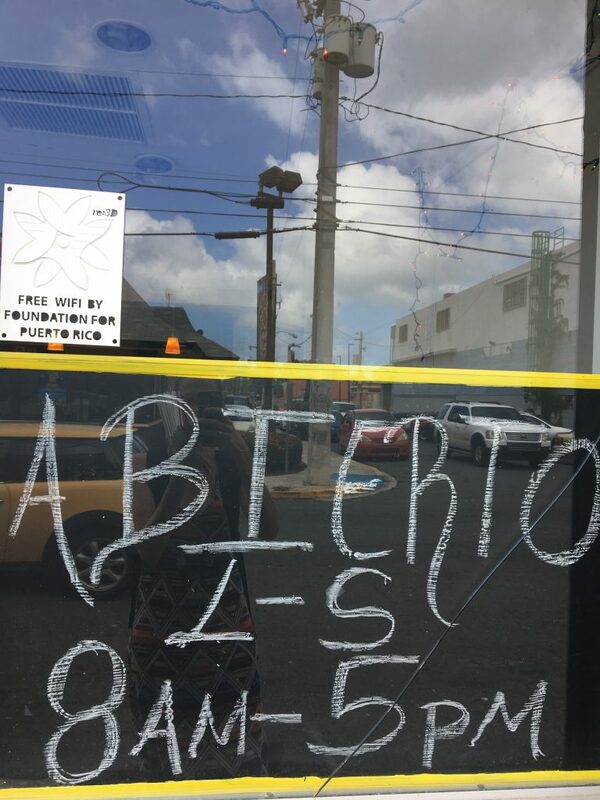 WiFi signs at small businesses in Puerto Rico! 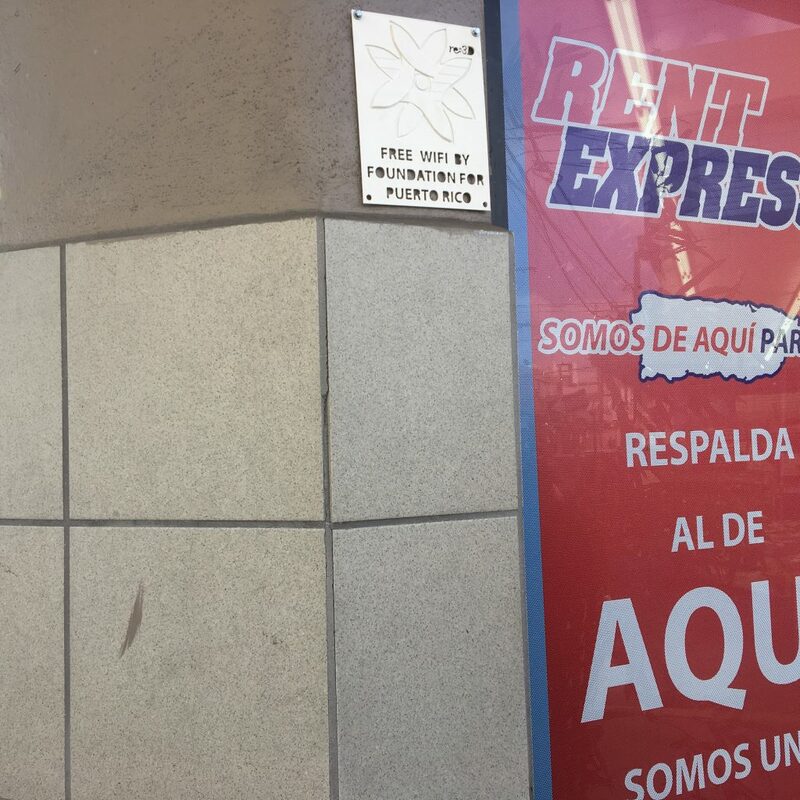 The 3D printed signs took 1.5 hours to print using ABS for a cost of about $11 per sign. 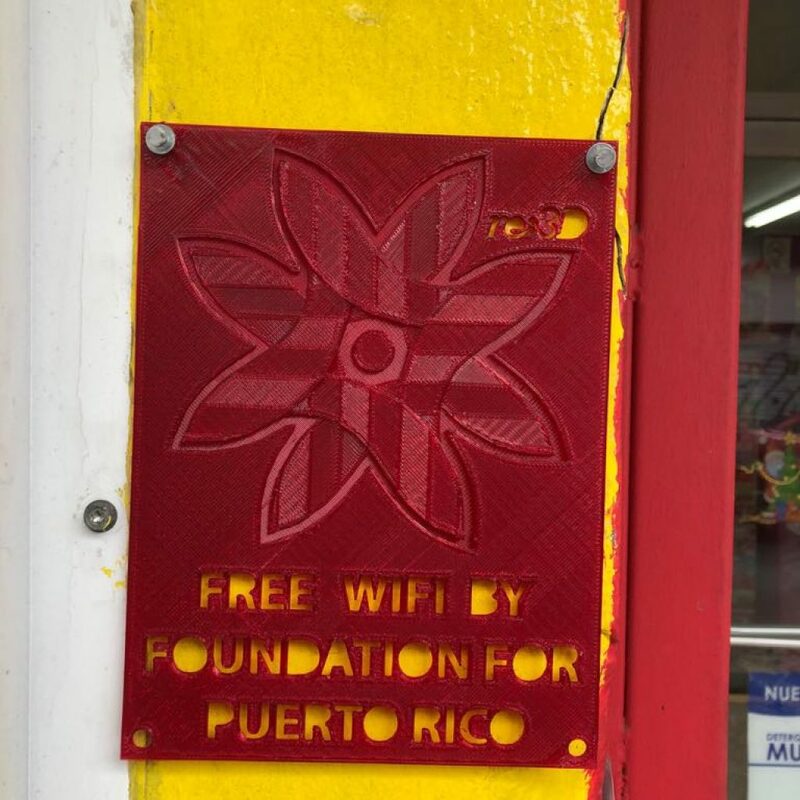 Download your own 3D printed WiFi sign for free on our Sketchfab and read more stories on #3DPrintedPreparedness. 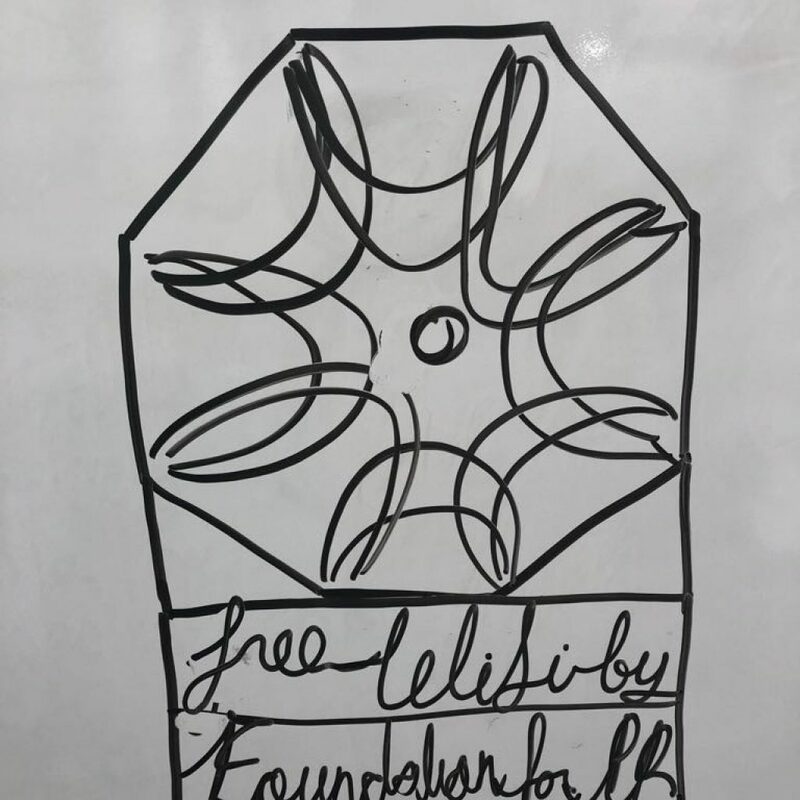 Download Your Own Free Wifi Sign on Sketchfab!